Monday, April 8th at 7:30 pm ET. Don and Zoob will be answering your frequently asked questions live. 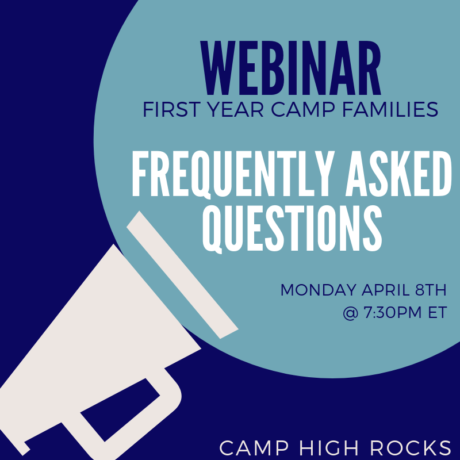 We are hosting a Frequently Asked Questions Webinar! Ask questions you have about packing, drop off day, homesickness, and more. We will take questions live during the event, however, if you have questions you already want to ask please email office@highrocks.com and Darby will add it to our question list! We look forward to seeing you there.